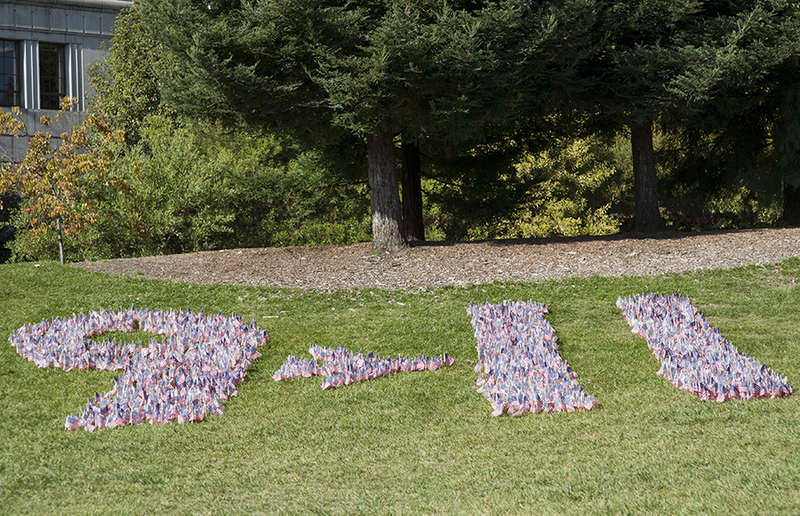 The display was composed of plastic replicas of the flag grouped together to form the numbers nine and 11, with an airplane between the two pointing toward the 11 — a reminder of the planes that crashed into the World Trade Center 11 years ago. “We want to make sure the victims of 9/11 are never forgotten,” said Derek Zhou, president of the BCR. Throughout the day, students went to the display to snap photos, take a moment of silence or to simply admire the display and sympathize with fellow students who recall the impact the event had on their lives. 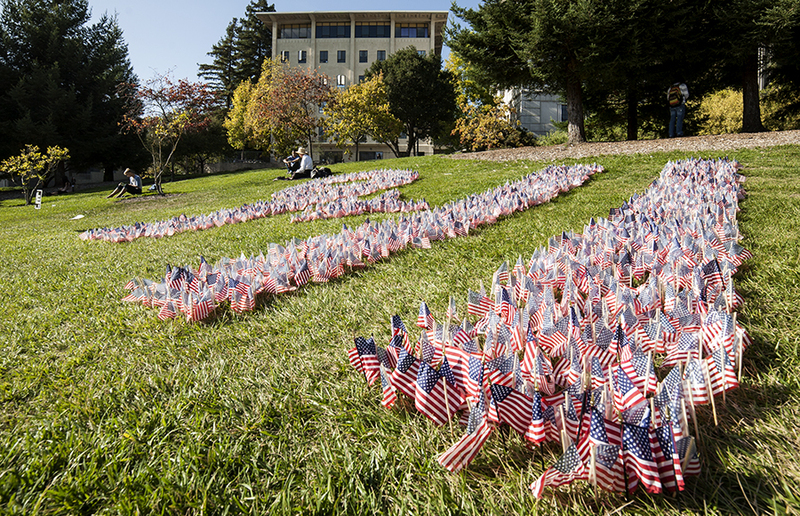 Using the break she had between classes to sit on the grass and admire the display, campus sophomore Melissa Jeng said the display was very commemorative of the tragedy. “(It) is a great way to remind everybody of the losses that occurred that day,” she said. Contact Ailya Naqvi at [email protected]. A previous version of this article incorrectly listed Aliyah Mohammed as the author of the article. In fact, Ailya Naqvi wrote the article.